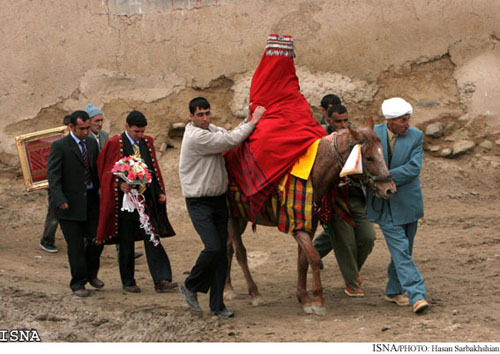 TEHRAN, Jan. 8 (Mehr News Agency) -- Iranian photographer Hassan Sarbakhshian plans to hang his works depicting wedding ceremonies in various regions of Iran at the Mah-e Mehr Gallery for three weeks beginning on January 13. Sarbakhshian took the photos during a tour of the country over the past year. The confrontation between tradition and modernity, the cultural anthropology of the country's ethnic groups, and various ceremonies and customs are the themes of the photos. Sarbakhshian is also scheduled to attend a discussion session at the gallery on January 16. He had focused on the people of side alleys and bazaars in his previous exhibition at Tehran's Khak Gallery last April. He plans to publish a book of his photos on the theme of the culture and social ceremonies of Iran's great civilization by March 2008. His book "Time Pulse", featuring photos of Iran in general, the 2004 Olympic Games in Athens, Iraq, Afghanistan, and the hajj, was published in 2005.